Kodachrome Test film from 1922. Some of the earliest colour film you will ever see. 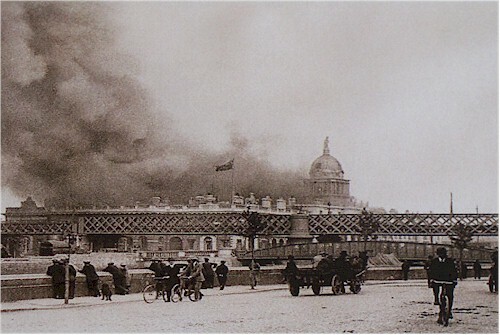 British raid on O'Connell Street. Last edited by brianthebard; 17-10-2010 at 15:13. I love this one. It's a picture I can appreciate without being support of Israel, mind. Get to 30 replies and I'll sticky it. Try not to quote pictures for the sake of easy browsing. Same goes for large images, try to resize or link rather than throwing in a huge screen breaking image. Last edited by brianthebard; 08-10-2010 at 15:22. Michael Collins in Portobello Barracks. Tomas, I warned you before in genealogy to not post any more of your video poems as they are not relevant to the discussion. Mod.